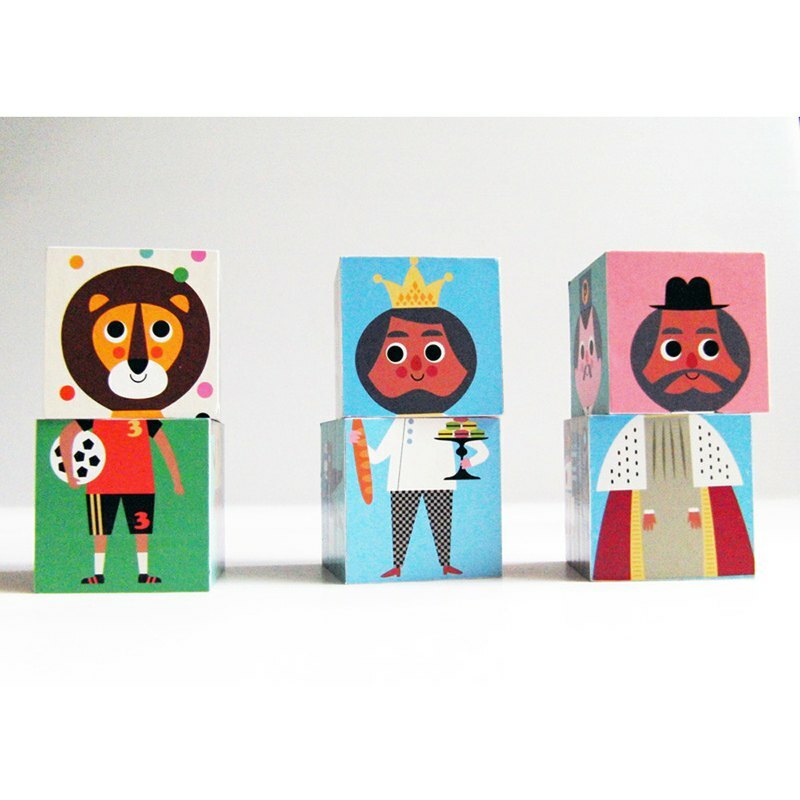 Vintage wooden toy: funny blocks by Ingela P. Arrhenius. ive your child a special gift that will last forever! Six funny wooden blocks and more than three hundred possibilities to create hilarious figures illustrated by Ingela P. Arrhenius. Beautiful illustrated wooden blocks with animals and humans. By putting the blocks together in different ways your child can even create the strangest creatures and fun people! This is a classic toy and will make a wonderful gift. Product Details: Recommended Age: 2 years + Measurement: Size each cube:4.5 cm square. Material: Wood.